Every year, we celebrate the scary holiday, dressing up as goblins, ghouls, and ghosts. However, how many of us actually know why we celebrate this day? Here at the Fab Man-ual, I believe it’s important to become cultured about the world around us. Therefore, I’ll periodically blog about cultural related things that will lead to a better understanding of worldly things, or just make you sound smarter in your group of friends. Sure, it's fun dressing up. But what does it all mean? Halloween’s roots actually begin in the Celtic Pagan holiday of “Samhain,” which means roughly “summer’s end.” It celebrates the end of the “lighter” half of the year and the passage into the “darker” half, closely resembling our understanding of the winter solstice. The Celts believed that the border between our world and the “Otherworld” became very thin on this holiday, allowing good spirits (like family ancestors) as well as harmful spirits to pass through to our world. So why masks and costumes? The ancient Celts believed that by disguising oneself as a harmful spirit, one could avoid harm by the dangerous spirits. 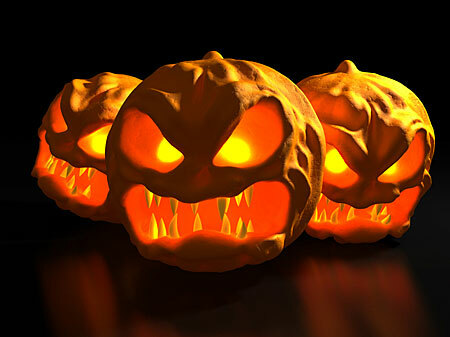 Jack-o-lanterns were also carved out into the faces of evil spirits to again – ward them off! Samhain is an ancient Pagan Celtic Holiday. The festival was performed over the years, and Christian missionaries eventually appropriated the holiday. The term “Halloween” first arose in the 16th Century from a Scottish variant of the word All-Hallows-Even (All Hallows Eve). That’s the night before All Hallows Day, a Roman Catholic holiday celebrated on November 1 (more commonly known as All Saints Day). So there you have it…”All-Hallows-Even” = Halloween! This entry was posted in Culture Caveats and tagged Culture, Halloween. Bookmark the permalink. Interesting…but I would like to have seen this article reflect the many different festivals held around the world that celebrate this event, such as in Mexico “The day of the dead” which stem from the Aztecs. I think sometimes we originate everything with our european influences but this event has been celebrated by many different cultures for thousands of years and what is really interesting is the fact that so many different cultures have incorporated a similar day. I agree that the event has probably spawned many different festivals around the world. However, since the question I wanted to answer was related to the root of “Halloween,” I traced its direct roots. In reverse chronological order, that’s Halloween = All Hallows Even —> event derived from Samhain (ancient Celts). But that’s very interesting to note how many different cultures have adopted the holiday over the years. Thanks for the comment! You should read up on Dia De Los Muertos, its quite interesting and has a good significance to families. Will do! Thanks for the comment Mr. Claude!